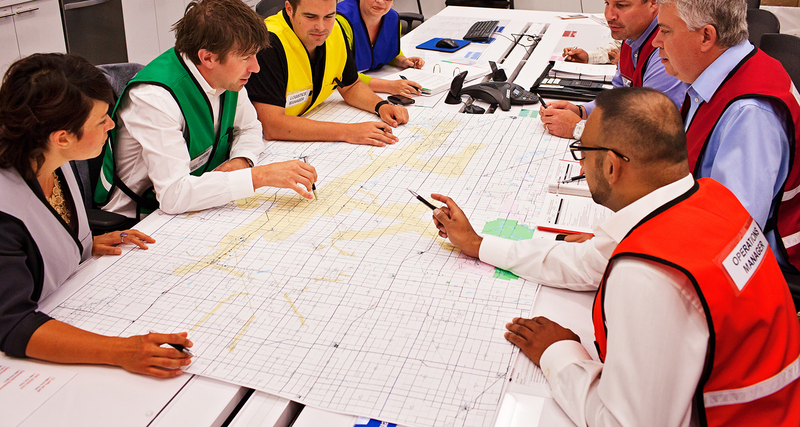 The safety and protection of the public, employees, contractors, the environment and our assets are top priorities for PMC's Emergency Management program (EMP). In accordance with National Energy Board (NEB) Order MO-002-2017, PMC has made Emergency Management program Information available on its company website for public viewing. Emergency Management program information can be found below and in the links provided at the bottom of this page. As stated in PMC's Emergency Management Commitment Statement, PMC is prepared to manage all emergencies and is prepared to protect the public, workers, environment, and company assets. The EMP is focused on making sure all hazards and risks are identified, and personnel can respond quickly and safely to an unplanned event or incident. The EMP meets or exceeds all applicable federal and provincial regulatory requirements in addition PMC’s internal standards, which is governed by our Operations Management System (OMS). Implementation of the OMS framework will enable us to continue to improve through operational excellence to safely deliver exceptional results. Identifying and managing all hazards is a critical part to avoiding incidents or minimizing their impacts. Programs such as Health & Safety, Process Safety, and Damage Prevention work together with the EMP to make sure we are prepared if an incident does occur. We prepare by ensuring our personnel and other responders are trained and have the tools - such as Emergency Response Plans (ERPs) and equipment - necessary to perform their roles. Continuous improvement of our ERPs takes place through review, hazard assessments, training, and exercises. Through its core functions, the EMP helps employees respond safely and effectively to an emergency. Working together with clear roles and responsibilities, we use key emergency management principles to respond to an incident. Once an incident is over, returning the environment, communities and operations back to normal is a critical part of our commitment as a responsible member of the communities where we operate. Integrate and align with corporate commitments, processes, programs, and procedures as part of the Operations Management System. PMC is committed to providing a workplace that protects our workers and the communities that we are a part of. In order to accomplish this, it is critical to identify potential hazards that may be encountered in PMC operations. A hazard is anything that has the potential to cause harm or adverse effect. Identifying hazards is the first step for all PMC programs and processes that are in place to either prevent or reduce the impacts that hazards have on people, environment, and property. Through the Operation Risk Management (ORM) program, PMC follows a standard approach for managing the risk of hazards causing harm or adverse effect. ORM drives a governed, consistent and consolidated approach to many risk practices already in place at PMC. Our risk management protocols include the engagement of key stakeholders to identify hazards, assess risks and develop controls to protect the public and the environment. Using ORM tools, templates, and process, the EMP undergoes a hazard identification and risk assessment annually. A key part of the EMP includes Emergency Response Plans (ERPs). ERPs that are required by regulation are provided to and reviewed by the responsible government agencies. ERPs are designed to identify and respond to any and all incidents that occur. For hazardous products, PMC establishes emergency planning zones (EPZs) using an approved methodology set out by the Alberta Energy Regulator, the Canadian Association of Petroleum Producers (CAPP) and in accordance with industry best practices and our own risk management protocols. An EPZ is a geographical area around a particular asset that requires specific emergency response planning. This area assists PMC in putting the right controls and processes in place to ensure public and worker safety is maintained in the event of an incident or release of hazardous product. Understanding the potential consequences of a hazardous product is critical to managing public and worker safety. The safety and health consequences of hazardous products is communicated to stakeholders through mediums including but not limited to the awareness and consultation of public information handouts that are available on our website here. Examples of hazardous products that have calculated EPZs include H2S gas and natural gas liquids. PMC has key emergency response information, identification of hazards, and safety protocols in place to ensure all products stored or transported by PMC are safely handled. Integration with other programs such as Environmental Protection, Health and Safety, and Asset Integrity are key to making sure this takes place. In the event of a release of hazardous product, PMC has formal plans and processes in place to manage clean-up, recovery, and remediation of local areas to minimize any impacts to the environment. Please see the following links Environmental Protection program and In an Emergency for more information.